With young children in our household, Family Movie Night usually only consists of an animated film that is Rated G. Our oldest son is approaching the age of 8, but I am still wary about what types of films he is able to watch. The element of danger still makes him very anxious, whether it presents itself in a video game, a television show, or a movie. Walmart and P&G are about to air their 7th Family Movie Night made-for-TV movie . . . Who Is Simon Miller? This is a spy film I am considering allowing our son to watch since he has been "playing spy" so often in recent weeks. I was on the fence until my husband and I attended an online screening. Now I am confident that Who Is Simon Miller? is a movie that our 7.5 year old son will be able to watch and enjoy. Who Is Simon Miller is about an average dad (Loren Dean) that is secretly leading a double life as an undercover government operative. When he goes missing, his wife Meredith (Robyn Lively) along with his teenage son Kevin (Drew Koles) and daughter Sarah (Skyler Day) take off to Europe to track him down. Finding themselves in unexpected danger, the trio uses their individual skills and knowledge to work as a team to hopefully retrieve their father safely, whomever he may really be. As you will see from the short trailer below, this film has the intrigue of a light spy movie without any violence and gore. Who Is Simon Miller? would make the perfect first spy movie for a grade school-aged child. The only thing I could suggest to make this movie more kid-friendly is the addition of a few more spy gadgets. You can never have enough of those. 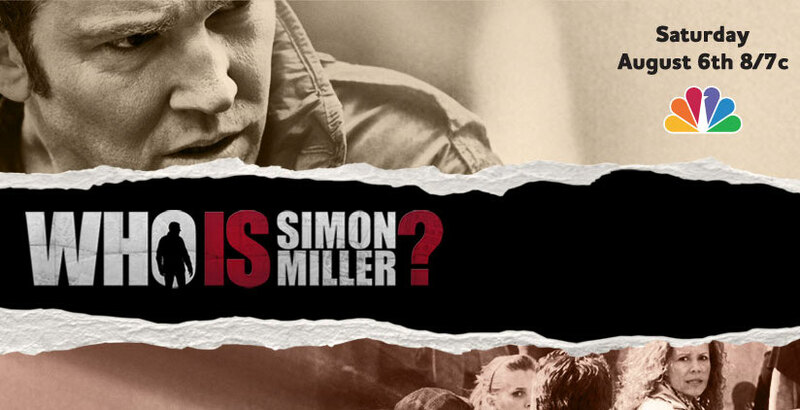 You can watch the premiere of Who Is Simon Miller? on Saturday, August 6th at 8pm EST on NBC. To learn more about this movie or to stay up to date about future Family Movie Night projects by Walmart and P&G, visit FamilyMovieNight.com and Family Movie Night on Facebook.